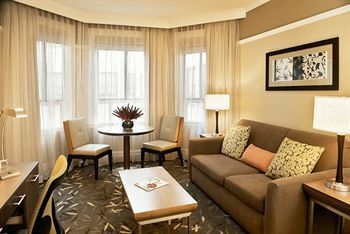 Ideal for both the leisure and business traveler, Hotel Abri is a modern day urban oasis situated in the heart of San Francisco's Union Square, just steps away from the Financial District and Moscone Convention Center. 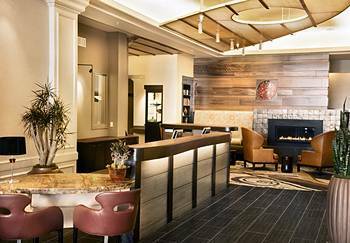 An energetic yet comfortable vibe permeates the boutique hotel’s sharp, urban interior, which is handsomely accented with contemporary art and high-end, state-of-the-art amenities that invite guests to seek refuge from the hustle and bustle of charming San Francisco. All 91 of the hotel’s redesigned guest rooms and suites are decorated in soothing earth tones and offer welcome comfort to guests. 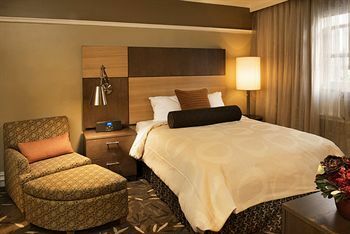 Each comes outfitted with modern furniture and conveniences such as complimentary wireless Internet access, Larkspur's signature FeatherBorne Bed package, L'Occitane bathroom products, iPod docking stations and 42” LCD TVs. Guests can fuel up with delicious Italian cuisine at Puccini & Pinetti Italian Restaurant before embarking on a busy day of sightseeing. If business is on your agenda, you can take advantage of the property’s fully wired, complimentary business center. Also on site are a sundry shop and city boardroom that seats up to 14 people. Hotel Abri is just steps away from the best in San Francisco nightlife, dining, theater and fashion. Guests can hop abroad the Powell Street Cable Car to explore San Francisco’s premier sites and attractions, from Fisherman’s Wharf and Chinatown to AT&T Park. 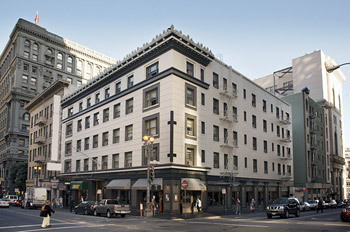 Hotel Abri San Francisco Union Square is an ideal San Francisco lodging choice for your trip to California. With numerous amenities for guests such as room service, 24 hour front desk, cable/satellite tv, you will wake up at Hotel Abri San Francisco Union Square feeling invigorated every day for your time in San Francisco. Don’t let this amazing reservation opportunity pass you by, book your stay at Hotel Abri San Francisco Union Square today to make the most of your time in San Francisco, California.